A tough fixture against a very well prepared Windsor side. The fourth team struggled, however, well done to Amaron Bhatti for managing a draw after grueling 1 hour match, by far the longest of evening. 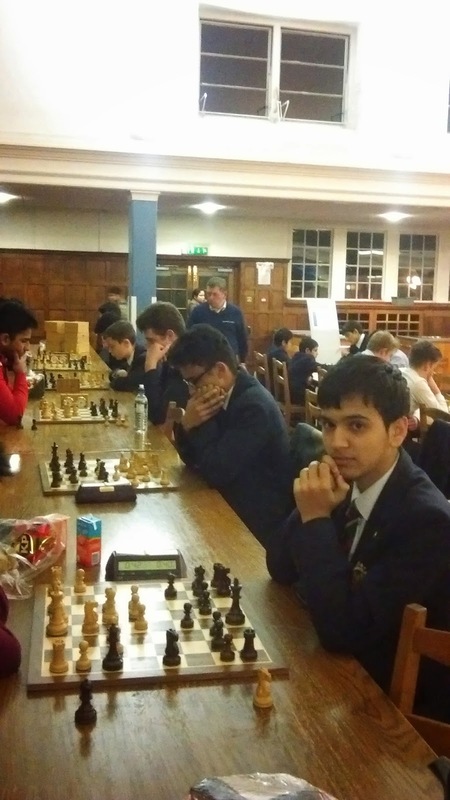 Also, well done to Jon Yin Ho and Saif-Ullan Hussain for winning their matches and especially well done to Liam Berenbuam for recording his first win in the chess league. All four teams were in action on Friday in a tough away fixture against Kings Edwards Edgbaston. Unfortunately, there were no wins for any of the QMGS teams, with the first team coming closest losing narrowly 4-2. Well done to Fahim Nasiri and Ben Nevett-Farman for winning their games and well done also to Abu Bakr for a credible draw whilst making his first appearance in the second team.